Let's face it. Sometimes, no matter how excited you are to get down and dirty, your body may react otherwise. You may need a little help to ease into the situation. Or, it may be a scenario where lube is absolutely vital to smooth transitions. Different tools, implements, also require a little help at times, especially if they are larger or oddly shaped, or depending on the materials they are made from. Then, there's just the fact that as we ladies age, we have, at times, issues lubricating ourselves. There are so many options out there now as well. Lubes that desensitize for longer play. 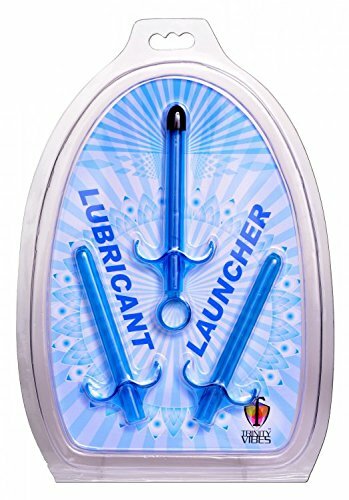 It's a virtual lube buffet! We always sample and test out new ones. One thing I will tell you is that I am not a fan of lube launchers. In theory, it's a great idea. You're able to apply liberal amounts of lube deeper, and thicker, than fingers perhaps can all in one shot. However, in my experience, and you may want to graze over this. Within minutes, my stomach flopped, ached, cramped, and I was clenching my tail and had to cease all play for the night. For me, this was just a thick enema. I can't handle that much in the back door. And a night of embarrassment accomplished. We are huge fans of Astroglide and K-Y, which are popular brands, and can be found virtually anywhere. In fact, I've bought tons of samples for my signings to give away. If you want to give a lube a try, I will suggest Astroglide for sure. In fact, if you go to their website, you can pick from selected products of theirs, and they will send a free sample to your door. Oh the Naughty Girls Get it Good. Get to know your blogger.